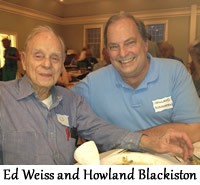 Beekee pers Ed Weiss and Howland Blackiston launched bee-commerce in 1998 as one of the first e-commerce enabled beekeeping supply stores. In 2009 ownership transferred to Leslie Huston, with the business remaining based in Weston, CT until 2016 when Bee-Commerce moved to 160A Sugar Street in Newtown, CT.
Our goal has always been to bring helpful guidance and top-quality equipment to the hobbyist, back-yard beekeeper. We never carry the inferior-quality goods (2nd or 3rd grade) found in so many other bee supply catalogues. We never compromise quality to cut costs. You'll discover that the products we offer are simply the best available anywhere and will give you many years of enjoyment. Bee-Commerce also recognizes that the quality of service is just as important as the quality of the products we offer. We do everything we can to ensure your loyalty by providing friendly, accurate and fast service. And with our 100% satisfaction guarantee, you can order with complete confidence. If for any reason you are not completely happy with the products you've ordered, you may return them at any time for a 100% refund. No questions asked. Our policy is simple. We strive for personalized service and the highest quality products. If for any reason you are not completely happy with the products you've ordered, you may return them at any time for a 100% refund. No questions asked. Bee-Commerce recognizes that the quality of service is just as important as the quality of the products we offer. We do everything we can to ensure your loyalty by providing friendly, accurate and fast service. We have scoured the globe to bring you the best-quality supplies available in the world. We never carry the inferior-quality goods (2nd or 3rd grade) found in so many other bee supply catalogues. We never compromise quality to cut costs. You'll discover that the products we offer are simply the best available anywhere and will give you many years of enjoyment. And with our 100% satisfaction guarantee, you can order with complete confidence.